Solution Architects and often Security Engineers design Data Centers in a way that they can achieve the highest level of security with the highest performance possible . Often Firewalls are installed and configured to protect workloads from unauthorized access and comply with security policies. VMware introduced the NSX distributed firewall concept which changed the centralized mindset and raised the firewall component to a completely different level. Although comparing the centralized to distributed firewalls Architecture and capabilities is like comparing apples to oranges, Architects and Network Admins would often request such a comparison to try visualize the new mindset VMware NSX DFW brought into the game. In the next series of blogs I will show you how NSX DFW compare to the Traditional Centralized Firewalls (The apple to orange comparison). 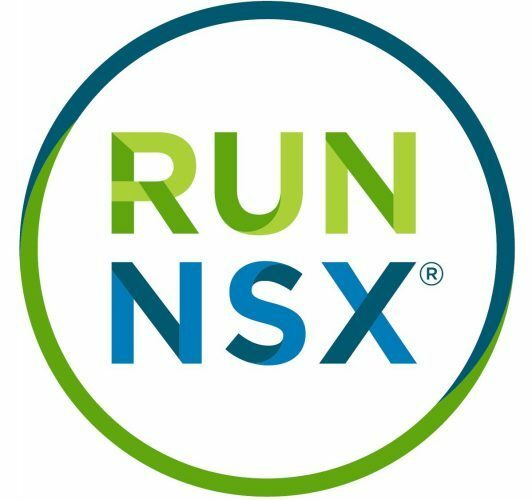 I will also share with you the best practices in achieving Line rate performance/throughput when using NSX DFW along with the results of the performance testings. So how do Centralized and Distributed Firewalls compare? Traditionally, Firewalls were centralized and are typically physical boxes that process the packets and take the “allow/drop” decisions based on pre-configured rules. Traffic will be typically hair-pinned to those Firewall boxes when being processed. VMware NSX Distributed Firewall or often called DFW, introduced a new concept by Distributing the Firewall capability across all compute hypervisors without the need of making the traffic exit to another hop for the allow/drop traffic decision processing . NSX DFW changes the concept of Centralized Firewall and introduced a new perception in the architectural design of Firewalls. With NSX DFW, the Security team can protect the workload at the Virtual Machine’s vNic level. By rules being processed at the vNic, decisions of allowing or dropping packets sourced from the DFW protected VMs is taken even before the packet exits the hypervisor the VM lives on. What is the most powerful differentiator? One of the most powerful features of NSX DFW in my opinion is the ability to create firewall rules based on static and dynamic membership criteria. Security groups construct is introduced which is an extremely efficient tool to implement security policies or firewall rules based on those security groups defined. Security Groups can be leveraged to either create Static or Dynamic Inclusion based rules. Static inclusion provides the capability to manually include particular objects into the security groups such as Specific Cluster, Logical Switch, vAPP, Data Center , IP Sets, Active Directory group, Mac Sets, Security tag, vNic, VM, Resource Pool and DVS Port Group. Dynamic Inclusion would include Computer OS name, Computer Name, VM name, Security tag and Entity. For instance you can create a firewall rule that will allow HTTPS access to all VMs that have the word “web” in their VM name. Or perhaps create firewall rules based on Security tags where a tag can be associated with a specific tenant workloads in the Service Provider world. Ofcourse, The FW rules configured move with the VM as it vMotions across NSX prepared hosts! (i.e. 40Gbps) Line Rate ~ 20 Gbps per host (with 2 * 10 Gbps pNics). ~ 80 GBps per host (with 2 * 40 Gbps Nic Cards and MTU 8900). In my next blogs, I will show you the testings made to the NSX DFW throughput and what are the best practices to achieve LINE-RATE performance.